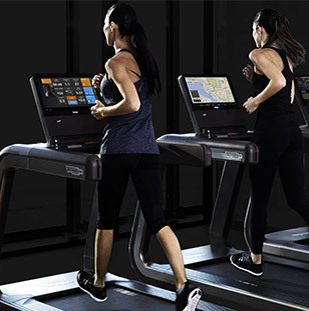 These general conditions of sales (hereinafter "General Conditions of Sales") shall govern any and all sales between Technogym Emirates LLC - Legal office: DUBAI- UAE - Tel. 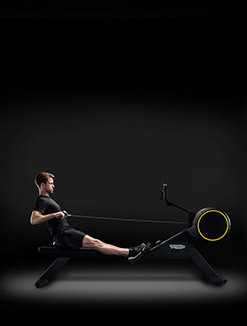 04 337 5 337 - Fax 04 337 26 60 - e-mail: infouae@technogym.com (hereinafter referred to as the "Seller") and the customer (hereinafter referred to as the "Customer") relating to the goods and/or services commercialized by the Seller (hereinafter referred to as the "Goods") through the e-commerce channel available on-line at www.technogym.com/ae or through the Seller's social media platforms (hereinafter referred to as the "Platforms"). The Customer is encouraged to carefully read these General Conditions of Sale before carrying out the purchase of goods through the Platforms. By purchasing Goods through the Platforms, the Customer declares to have read and approved specifically these General Conditions of Sale. 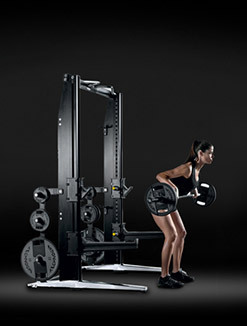 The description of the Goods can be found in the relative specification sheet available on-line at www.technogym.com/ae. The Customer is recommended to print and/or keep copy of these General Conditions of Sale for future reference. The Seller may use subcontractors for the performance of the transport service and/or installation of Goods and/or other services detailed in the purchase order. The Customer represents to be a person of full age and to have the legal capacity and/or to be legally authorized to enter into any sales agreement. The Customer may carry out the purchase of one or more Goods through the Platform by selecting the relevant item/s, placing them directly in the shopping cart and submitting the purchase order directly to the Seller. Once the check-out procedure is completed, the Customer is required to click on the "Purchase Now" button or other button of confirmation of his/her decision to proceed with the purchase and pay the relevant price. By submitting the purchase order, the Customer declares to have read, understood and agreed to these General Conditions of Sale. Upon receipt of the purchase order the Seller will acknowledge receipt of the order by sending an email to the Customer. This email does not constitute acceptance of the order. The sales agreement is executed once the Seller accepts the purchase order by sending the order confirmation message (hereinafter referred to as the "Order Confirmation") to the email address entered by the Customer during the purchasing procedure through the Platform. It is hereby understood that the Customer has expressly agreed to the use of such means of communication for the purpose of exchanging relevant information in order to conclude and execute the relevant sales agreement. The Order Confirmation will contain a summary of the order; the relevant invoice will be sent afterwards and in any case in the terms required by applicable laws. If the Customer qualifies itself as a consumer pursuant to the Consumer Protection Law No. 24 of 2006 and following amendments or under a similar definition pursuant to the law of the country of domicile of the Customer, the Order Confirmation will include also a summary of the rights of withdrawal provisions as well as the modalities to exercise said rights, a note regarding the existence of a legal guarantee of conformity of the Goods and of after-sales services. If the Seller is not able, even partially, to process a purchase order, it must contact the Customer via email or by telephone at the contact details provided at the time of the registration through the Platform, as soon as possible and in any event within 30 (thirty) days from the date of placement of the order through the Platform. In the event the Customer has already proceeded with the payment of the Goods, the Seller shall reimburse such sum in the same manner used by the Customer for the payment of the Goods. The Seller shall use reasonable efforts to ensure that the prices and any information related to the Goods sold through the Platform are at all times correct and up to date. However, the Seller does not guarantee that all Goods displayed on the Platforms, in a given moment, are also available for sale through such means. The Seller reserves the right to modify, at any time and without prior notice, the Goods, their description, price and availability. However, any change in price and/or other specification of the Goods will not be applicable to Goods ordered through the Platforms for which the Customer has already received the Order Confirmation. All prices of the Goods available on the Platforms shall be inclusive of any applicable taxation in the Territory of the UAE (if any), installation and transport charges, where required. If the Customer requires to have the Goods delivered in an area outside of the United Arab Emirates, a specific request must be made at the time of the purchase through the Platform on the section "NOTES" of the registration form and, in such cases, the installation and transport charges will be calculated separately and will be communicated by the Seller to the Customer at the email address indicated upon registration to the Platform. In addition to the installation and transport charges, which are described in more detail in the check-out page and/or in the relevant Order Confirmation, transactions carried out in certain countries may be subject to customs duties which vary according to the value of the Goods purchased on the Platforms. The Seller cannot calculate such custom duties in advance. The Customer shall bear all expenses for such custom duties, which shall have to be paid in accordance with the modalities required by the applicable laws of the country of delivery. 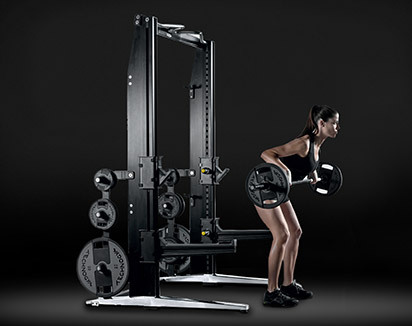 The price of the Goods purchased on the Platforms is equivalent to the sum indicated from time to time on the website www.technogym.com/ae. Such prices may be subject to modifications, which nonetheless will not affect the orders already accepted by the Seller at the time of the price modification. Payment of the Goods can be done by bank credit transfer, in a single installment, not later than the date of consignment. Alternatively, payment of the Goods can be done by credit card, using PayPal or WorldPay, or, if this is requested during the purchasing process and for the countries in which such service is available, through consumer credit financing. 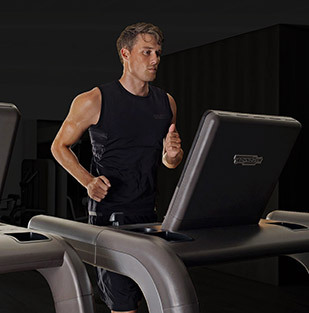 Further information regarding the applicable payment terms for the chosen method of payment at the time of the purchasing order can be found in the section "Method of payment" of the website www.technogym.com/ae, in the area "Shop". The Goods shall remain property of the Seller, which may suspend their delivery, until the payment has been entirely fulfilled and received by the Seller. If the Customer fails to meet the terms of payment - provided they have been previously agreed with the Seller- the Seller shall be entitled to late payment interest from the day in which the payment remained outstanding, as well as the expenses incurred by the Seller for the compulsory recovery of credit. Except otherwise communicated by the Seller, the Goods shall be delivered on "Ex Works" (Incoterms 2010) basis at the Seller's warehouse; thus the Customer shall bear the risk of loss or damage to the Goods as soon as they have been made available for transport in the Seller's warehouse. Notwithstanding the "Incoterms 2010" rules, the freight and installation may be organized by the Seller but in the Customer's name and at his/her expense. Such expenses shall, in any case, be deemed included in the price indicated in the price list for delivery intended for the UAE territory. In the event the Customer is qualified as a consumer under the Consumer Protection Law No. 24 of 2006 and following amendments or under a similar definition pursuant to the law of the country of domicile of the Customer, the risk of loss or damage to the Goods, for reasons not attributable to the Seller, will be borne by the Customer at the time in which the same, or a third party appointed by him/her, will take physical possession of the Goods. Without prejudice to the foregoing, if the Customer has chosen the Carrier, the risk of loss or damage to the Goods will be borne directly by the Customer at the time in which the Goods have been handled to the Carrier. The delivery term specified in the Order Confirmation must be considered merely indicative and not essential. If the delivery term is not specified in the Order Confirmation or related documents, the delivery must be carried out within a reasonable period of time from the date of execution of the agreement and in any case within 30 days, except in cases of force majeure and upon the Seller's receipt of the relative proof of payment documentation. The actual date of installation, to be agreed with the Seller, will depend upon the area of delivery, type of Goods and the needs expressed by the Customer. In the event the orders' content is the supply of services (by way of example, personal training services in the customers' premises or personal training services from remote) or multimedia content from remote, the description of such services and the modalities for delivery shall be included in the description of the service and of the multimedia product available for sale through the Platforms. In the event the orders' content is the supply of services and/or multimedia content from remote, they will be made available by the Seller through the activation of an account that will be assigned to the Customer during the registration process on the web or mobile platform dedicated to the supply of the services and/or selected content (by way of example, on the following web based platforms: technogym.com, mywellness.com or twellness.com). Therefore, access to the platform will require the use of a device which can access the mobile or fixed network (i.e. 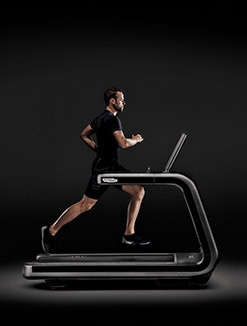 tablet, smart-phone, pc or Technogym® equipment connected to the internet, etc.) compatible with the platform required for the provision of the services and/or contents, as well as access to the platform will require the activation, by the Customer, of the account generated by the Seller and notified by the Seller to the Customer at the email address provided at the time of the registration carried out on the Platform. In case the services and/or multimedia content are sold together with other products belonging to the Seller, the account activation date on the dedicated platform shall be the same of the Goods' delivery to the Customer. In the event that, however, the services and/or multimedia contents are sold separately, the Seller shall send an e-mail notice in which the activation date shall be defined. The duration of the multimedia services (which also includes access to multimedia content), to be calculated starting from the activation date, is specified in the relevant purchase order for the service and/or multimedia content. The activation and maintenance of the account on the platform through which the Seller or its subcontractors may supply services or contents from remote does not give the right to the Customer to receive free updates or upgrades of the contents and/or applications already activated. Unless otherwise agreed with the Customer, the personal data shall be used exclusively for the supply of the services and/or contents purchased by the Customer. 6.1 Warranty and assistance for the Customers qualified as consumer or user under the Consumer Protection Law No. 24 of 2006 and following amendments or under a similar definition pursuant to the law of the country of domicile of the Customer. Limits and forfeiture. Security arrangements for the supply of installation services. The Goods are guaranteed only for private and "non-professional" use. Any "professional use" of the Goods shall invalidate any warranty related to Goods. 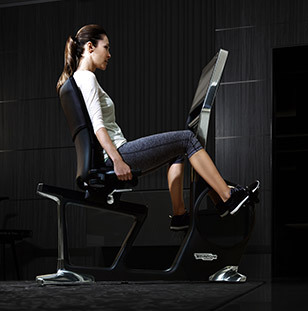 For the purpose of this clause, "professional use" means any intensive use of the Goods in places open to the public, being expressly excluded the use of the Goods in gyms and/or fitness centers located inside hotels and accommodation facilities in general (including company's work-out rooms) that are exclusively intended for the use of hotel guests and/or guests of the accommodation facility. In case of Professional Use, the Warranty and assistance will be separately agreed with a sales contract between the Parties and will be intended under the Federal Law of the UAE. The warranty shall be valid for a period of 2 (two) years starting from the delivery date, with the exception of all the wear and tear parts (as an example but not limited to: cables, pads, rubber and plastic parts). The warranty related to used Goods (not refurbished) shall be valid for a period of time equivalent to the remaining term of the first purchase and the two years of legal warranty, and in any case for a period not exceeding 1 (one) year from the date of delivery. The warranty related to the Still Novo® Goods (refurbished equipment), shall be valid for a period of 18 (eighteen) months starting from the delivery date: the first 12 (twelve) months shall provide a total coverage (spare parts, travel and workmanship expenses), while the other 6 (six) months shall cover exclusively spare parts. The warranty is granted only for the Goods purchased through the Platforms and it provides only the Goods functional restoring including warranty replacement of defective parts of the Goods, unless the Seller, at its own discretion, deems more appropriate the integral replacement of the Goods. The warranty service can be carried out by the Seller or by its business partners. If the warranty service needs to be carried out in a country outside the United Arab Emirates, the Seller reserves the right to charge any travel, workmanship and transport expense to the Customer, with such costs to be reimbursed in advance. These expenses may be requested even if the Goods, following its purchase, has been moved by the Customer to a country other than the one of purchase. All the Goods are being dispatched together with the handbook for their proper usage and maintenance and, therefore, the warranty provided by this clause is not applicable in case of defects, damages, missing pieces of the Goods due to their improper use and/or maintenance from the instructions provided in the handbook. Any other installation of the Goods executed by third parties not previously authorized by the Seller and/or the positioning of the Goods in outdoor locations or near moisture areas shall immediately cause the loss of any warranty related to the said Goods. The Seller shall have no liability for whatsoever damage to the Goods arising from the improper use and/or maintenance and/or installation and/or ground fixing (or on the wall or on the ceiling) not compliant with the provisions in the handbook and in any other document or warning supplied together with the Goods, in case the maintenance and/or installation and/or ground fixing (or on the wall or on the ceiling) of the Goods is carried out directly by the Customer or by third parties not authorized by the Seller. 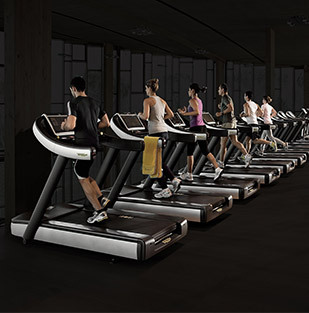 If the Customer detects a defect under the above terms of warranty, he/she must promptly inform the Seller in writing, and in any case within 2 months from such detection, by sending an email to the following address serviceuae@technogym.com, specifying the defect or non compliance detected and including copy of the purchase invoice. In case of bulky Goods, the Seller may require from the Customer access to the premise in which the Goods is installed in order to carry out an inspection, and if there is evidence of a defect, the Seller shall repair such Goods or, where not possible, shall replace it, also taking care of its collection. Upon receipt of Goods, or during the inspection in case of bulky Goods, the Seller shall also check them. If the Goods have a defect and/or in case of lack of conformity according to law, the Seller shall, free of charge, repair (if possible) or replace them with new Goods. If the Seller is not able to promptly repair or replace the Goods in a satisfactory way, it will contact the Customer in order to propose an alternative solution which might consist in an alternative Goods of the same quality and functionality, or the reimbursement of the price paid for such Goods (including the original delivery cost and any expense related to the return of the Goods, if duly justified by means of supporting documentation), which will be credited on the credit card or on the bank account used for the original purchase, in accordance with applicable law. The Seller shall be entitled to return the Goods to the Customer provided that such Goods lacks of any defect and/or non-conformity, or if it determines that the Goods has been damaged due to improper use. 6.2 Warranty and assistance for Customers not qualified as consumers. Limits. Notwithstanding the Consumer Protection Law No. (24) 2006 the warranty granted by the Seller is strictly limited to the sole substitution and repair, at the Seller's sole discretion, of components of the Goods affected by original defect in material and workmanship and the Customer waives to any action for the termination or reduction of the price. The warranty on new Goods shall be valid for a period of 1 (one) year starting from the date of delivery, in addition to a further period of 12 (twelve) months (second year from the date of delivery) during which the service calls will be subject to a fixed charge, as well as workmanship and travel costs. 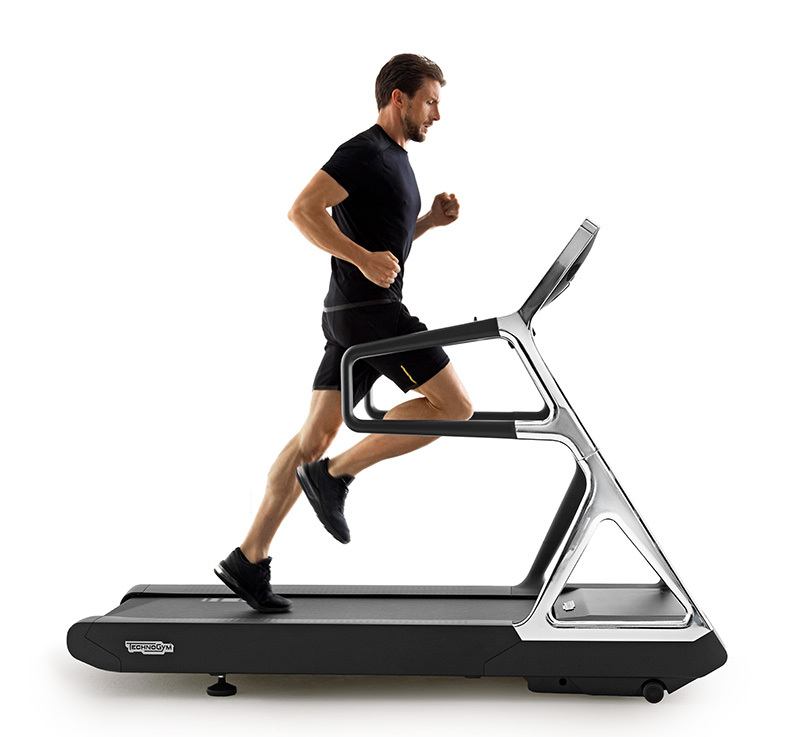 Only the spare parts are free of charge, with the exception in any case of the wear parts (by way of example padding and ribbons for treadmill). Upon the Seller's request, failure to return the Goods and/or the spare parts or the components of the substituted Goods, as well as installations of the Goods by third parties not authorized by the Seller and/or the positioning of the Goods in outdoor locations or near moisture areas shall immediately cease any warranty related to the Goods. The warranty service solely ensures restoring the functioning of the Goods with free of charge replacement of the defective parts, unless the Seller, at its sole discretion, believes it is more convenient to proceed with the full replacement of the Goods. If the warranty service needs to be carried out in a country outside the United Arab Emirates, the Seller reserves the right to charge any travel, workmanship and transport expense to the Customer, with such costs to be reimbursed in advance. These expenses may be requested even if the Goods, following its purchase, has been moved by the Customer to a country other than the one of purchase. The warranty related to the Still Novo® Goods (refurbished equipment) shall be valid for a period of 18 (eighteen) months starting from the date of delivery, it being understood that starting from the thirteenth month the Customer shall bear the travel, workmanship costs and will be charged for any service call. Furthermore, the Seller points out that the Goods belonging to the line of products "Home" have been designed taking into consideration bulk and weight, ensuring at the same time, handling and practicality of use, for the purpose of facilitating the arrangement and use in domestic environments as well as a non-intensive use of the same (the use in a home, corporate and hotel environment is not considered to be intensive); therefore, the warranty on such Goods is void if they are placed in fitness centers or are intended for a professional use. All the Goods are being dispatched together with the handbook providing details for their proper usage and maintenance and, therefore, the warranty provided by this clause is not applicable in case of defects, damages, missing pieces of the Goods due to improper use and/or maintenance from the instructions provided in the handbook. If the installation of the Goods is executed directly by the Customer or by a third party not authorized by the Seller, the Seller shall not be liable for damage due to the incorrect installation of the Goods or due to an installation not carried out in accordance with the instructions provided in the handbook or in any other document supplied together with the Goods. Some Goods require mandatory fixing on the ground (or on the wall or to the ceiling), which has to be carried out with the use of adequate fixing tools. In case the fixing on the ground (or to the wall or to the ceiling) of such Goods is carried out by the Customer, or by a third party not previously authorized by the Seller, the Seller shall not be liable for any damage caused by any failure or erroneous fixing to the ground (or to the wall or to the ceiling) of the Goods or by a fixing to the ground (or to the wall or to the ceiling) carried out without using specific tools for fixing and/or in a way that is not compliant with the instructions provided in the handbook or the installation guide or any other document associated with the Goods. In the event the Customer fails to pay the full price of the Goods, the Seller may object the use of the conventional warranty (therefore only from the second year), temporarily ceasing the warranty service and, in certain cases, the supply of requested spare parts. The supply of spare parts may be carried out only if the Customer proceeds with the full advance payment or by cash on delivery order. In the event the Customer requests' any technical assistance that does not prove to be justified by a real malfunctioning of the Goods or by a problem not ascribable to the Seller, the Seller may charge the Customer the service call even though the Goods is under warranty. The Seller warrants the conformity of the Goods to the security standards imposed by the Federal law, rules and regulations of the United Arab Emirates. 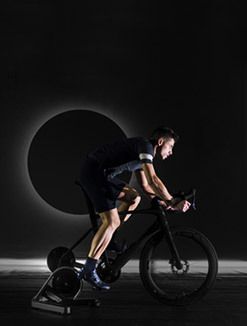 With regards to the Goods belonging to the "Still Novo®" line of products, the Seller states that said goods comply with the rules in force in the year of production of the machine, irrespective of the date of its re-marketing as used product. The handbook or the installation guide related to the Goods will be supplied on any electronic or computer support. 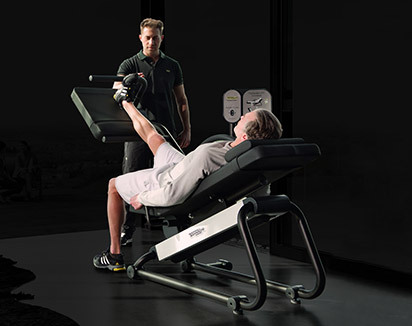 In any case, the Customer may also request, free of charge, a paper copy of the handbook, by sending an email request to the Seller's customer service at the following address: Customer Service – serviceuae@technogym.com. The Customer undertakes to guarantee that the site where the installation of the Goods shall be made is safe for the installation performance and does not generate any kind of health risks for the personnel involved in the installation performance. The Customer shall hold harmless the Seller in respect of any kind of liability related to any damage occurred to any property and/or person that may arise in connection with the performance of the installation, except in cases of willful misconduct or gross negligence attributable to the Seller or any of its subcontractors. The Seller shall have no liability for whatsoever damage to property and/or person arising from the use of the Goods not in accordance with the instructions specified in the handbook or in any other document or warning associated with the Goods or for any damage arising from the use of the Goods not fixed to the ground (or on the wall or to the ceiling) in accordance with the provisions included in the handbook or other document or warning supplied together with the Goods, as well as in relation to any damage to property and/or to persons arising from the delivery and/or installation and/or performance of any other service described in the order and performed by persons not authorized by the Seller. The Seller is not liable for any damage arising from the use of the Goods by people in no good physical conditions, being an obligation of the user of the Goods to verify in advance the compatibility between his/her health status and the use of the Goods. The Seller expressly encourages any user of the Goods to carefully read the handbook before using the Goods and to comply with the instructions and safety rules described in the handbook. 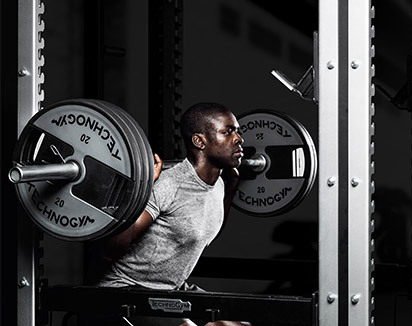 The personal training services shall be provided only taking into consideration the psychological and physical conditions indicated from time to time by the Customer and/or by the final user of such services. Therefore, the Customer undertakes to provide and assess in advance, as well as to ensure that the final users of the personal training services also provide in advance a medical certificate assessing their good health status valid for the current year, and shall hold harmless the Seller from any kind of liability for any damage arising or related to his/her health status and/or to the health status of the final user. 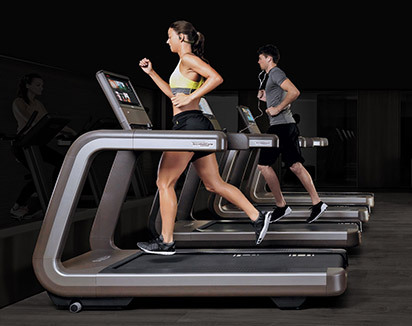 The Seller may suspend the supply of personal training services in the event the health conditions of the Customer and/or the final users of the personal training services are not compatible with the physical activity requested or they have not notified any changes in their health status. The Seller does not carry out medical activity and therefore shall have no liability in relation to the verification of the health status of the above-mentioned individuals. 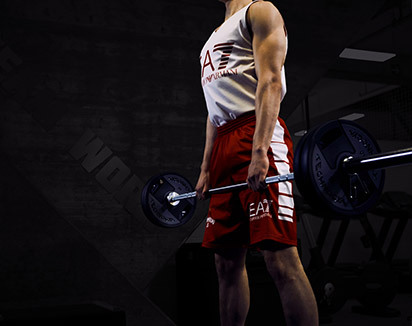 The health status of the Customer and/or of the final user of the personal training services shall be verified by a doctor chosen by the Customer and/or final user of the personal training services or by any other third party authorized to practice medical activity. The Seller shall not be liable for any indirect or consequential damage that may be caused by the Goods. The limitations of the Seller's liability shall not apply: (a) in the case of death or personal injury caused by gross negligence of the Seller; (b) in the case of willful misconduct or gross negligence of the Seller; (c) in case of any other circumstance provided by applicable law. Right to withdraw from the agreement for the Customer qualified as consumer or user under the Consumer Protection Law No. 24 of 2006 and following amendments or under a similar definition pursuant to the law of the country of domicile of the Customer. Within 14 (fourteen) days from the date of receipt of the Goods, i.e. from the date in which the Customer or any third part designated by the same, other than the carrier, acquires physical possession of the Goods, or from the date of conclusion of the contract in case of a contract for the supply of services, the Customer qualified as consumer or user under the Consumer Protection Law No. 24 of 2006 and following amendments or under a similar definition pursuant to the law of the country of domicile of the Customer, may withdraw at its own convenience from the agreement without any liquidated damages to be paid. The right to withdraw from the agreement can be exercised only by Customers who can be considered consumers under the applicable law, that is by natural persons who have purchased the goods for their own personal purposes, which are therefore outside the scope of their professional activity. The right to withdraw from the agreement cannot be exercised for the purchase of multimedia content in the event that the download of such content has already been completed. 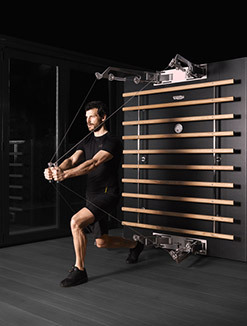 In order to exercise the right to withdraw from the agreement, the Customer has to inform Technogym UAE LLC, Tel 04 337 5 337, Fax 04 337 26 60, e-mail: infouae@technogym.com of its decision to withdraw from the agreement by means of an explicit statement (by way of example, a communication sent by courier, fax or email). The Customer is not obliged to use such means. The Customer may also electronically complete and submit the model withdrawal form or other explicit statement on the abovementioned webpage. If the Customer chooses to exercise such option, the Seller will transmit without delay, acknowledgment of receipt of the withdrawal on a durable medium (by way of example by email). To comply with the withdrawal period, the Customer must send the relevant communication before the expiration of the withdrawal period. If the Customer exercises the right to withdraw from the agreement, the Seller will take care for the collection of the Goods directly from the Customer location, if inside of the Territory of the UAE. The right of withdrawal shall be transmitted from the Customer to the Seller without undue delay and in any case within 14 (fourteen) days. Once the Goods are collected, the Seller shall carry out a check of the same. If the Goods are returned in perfect conditions, new, not used (with the exception of the uses carried out to verify the characteristics and functioning of said Goods) together with the labels and original documentation provided with the same, the Seller shall carry out the reimbursement to the benefit of the Customer of all the payments done to the Seller, including delivery expenses (with the exception of additional costs due to the Customer's choice of a method of delivery other than the cheaper standard of delivery offered by the Seller) and installation, save for any diminished value of the Goods due to the handling of the Goods in any way other than what is necessary to determine the nature, characteristics and functioning of the Goods, without undue delay and in any case within 14 (fourteen) days from the day in which the Seller has been informed of the Customer's decision to withdraw from the agreement. These reimbursements shall be done by means of the same method of payment used by the Customer for the initial transaction, unless the Customer has expressly requested otherwise; in any case the Customer shall not have to bear any cost as a result of such reimbursement. The reimbursement may be suspended until the receipt of the Goods. 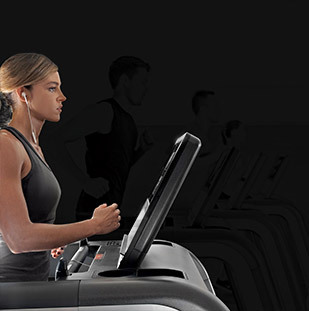 The policy on personal data processing employed by the Seller is available for consultation on the website www.technogym.com/ae at the following link: Privacy. The Customer is therefore encouraged to carefully verify the privacy statement for the processing of personal data, which shall be made available at the time of activation of the account on the platform concerned for the performance of the service or the purchased multimedia content. Furthermore, the Seller warns that the Goods, which require an Internet connection, will automatically transmit their operating data to a database managed by the Seller through the use of a software system for Equipment Asset Management (EAM). The EAM is a system for the collection and data processing (which does not allow the direct identification of an individual and yet are connected to the person who has purchased the product) which allows to: (a) enable technical support, updates and remote diagnostics; (b) simplify the personalization process and therefore reduce the time and cost of installation in the interest of the Customer; (c) estimate data usage in order to decide which functionalities to develop for new products. The whole privacy notice concerning the processing of personal data through the EAM system is available at the time of activation of the relevant service. 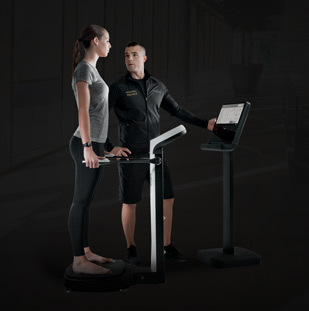 The Customer may disable the functionality of the EAM system, as well as require additional information on said system, upon email request to the following address: serviceuae@technogym.com. Applicable law. Exclusive place of jurisdiction. These General Conditions are governed by the Federal Law of the United Arab Emirates. The parties expressly exclude the application of the 1980 Vienna Convention on the international sale of goods. If the Customer is qualified as consumer or user under the Consumer Protection Law No. 24 of 2006 and following amendments, any dispute arising between the Customer and the Seller, either referred to these General Conditions or to any other contract the parties may have executed pursuant to these General Conditions, shall be subject to the venue of the Court of residence or domicile of the Customer. If the Customer is not qualified as consumer, any dispute arising between the Customer and the Seller, either referred to these General Conditions or to any other contract the parties may have executed, shall be subject to the exclusive venue of the Court of the United Arab Emirates. The above mentioned is without prejudice to the right of the Seller to pursue remedies against the Customer before the Court of domicile of said Customer. 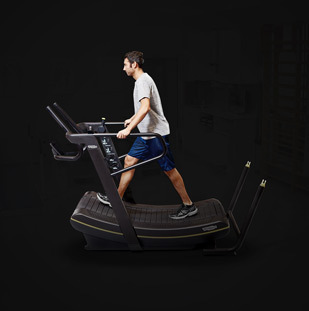 In order to obtain further information and/or to submit a complaint, the Customer may send an email to the following address: infouae@technogym.com or the following number of the Seller is available 04 337 5 337.